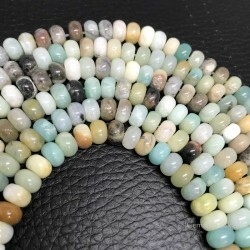 Gemstones - expertly tumbled stones offered by Gemstone.dk to all. The gemstones and crystals we sell are carefully selected for their strong healing properties of natural beauty. Discover our large selection of Healing stones from all over the world. Tumbled stones There are 72 products. Beautiful Jasper Red large tumbled stones. Red Jasper helps you get over an unfair treatment and to correct errors and misunderstandings. There are a minimum of 24 Red Jasper stones per bag, approx. 20-30mm in length each stone. Beautiful Rose Quartz gemstone / tumbled crystal stones with nice polishing throughout - a set of 5 crystal stones. 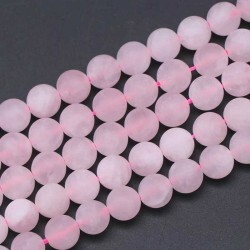 Rose Quartz provides a calming energy, love and balance of yin and yang. Guard against radiation from monitors, earth and space. 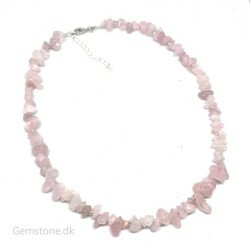 Each of these Rose Quartz tumbled crystal stones measures 12-18mm. Beautiful Green Aventurine gemstone / tumbled stones, with nice polishing throughout. You get one of these lovely gems, and photo is to show their natural variation. 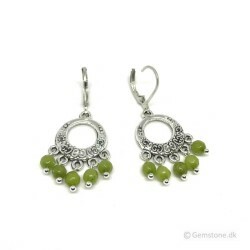 Green Aventurine gives luck in love, work and money matters. Protects the heart chakra. Green Aventurine gemstone / tumbled stone approx. 18x12x10mm. Beautiful Carnelian gemstone / tumbled stones. Carnelian Healing Stone protects against envy, fear and rage. This is River Red South Africa Carnelian, and color can vary from between a very pale orange, to an intense orange or almost black coloration. Carnelian gemstone / tumbled stone approx. 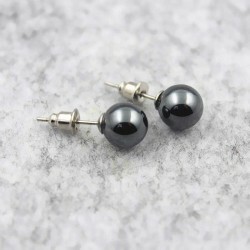 20x15mm. 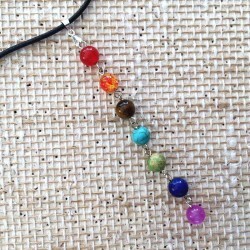 A set of 5 beautiful Cats Eye Gemstone Crystals. Natural gemstones of high polish throughout. 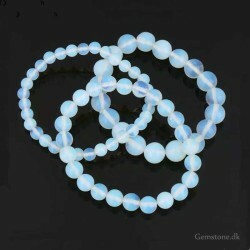 You get five Cats Eye crystals in assorted colours, with the image showing variation. The crystals measure on average 30-20mm. Lovely Tiger Eye Red polished precious gemstones from South Africa. Each Tiger Eye stone measures about 15-20mm. The image shows a natural color variation of the Red Tiger Eye gemstones. Natural Agate Green Moss large tumbled stones. An Agate with moss-like inclusions. There are a minimum of 24 Agate Green Moss gemstones per bag, approx 20-30mm in length each stone.